When I was a kid, I would get so excited about going out of town that I would pack my bag weeks in advance. As I grow up, weeks dwindled into days, with more thought being put into what I should and shouldn’t bring. This is especially true when coming to visit Zion National Park and Bumbleberry Inn. Of course, that never really stopped me from over-packing. All the what-if question runs through my head, prompting me to bring one more extra shirt, and extra pair of jeans and maybe a couple more underwear. My toiletry bag takes up as much space as my pair of trainers. And don’t get me started on my little plastic containers. It amuses me when they show people on TV just throwing their closet into their luggage and sitting on it, in a vain attempt to zip it close. Though I find it silly and impractical to just throw your clothes into your luggage, deep down I realize it hits a nerve. They’re over-packing, and so do I. What makes it worse in over-packing is that I sometimes don’t have enough room for the things I should be taking along, and end up with things I never get to use. Roll, not fold. This advice is pretty much a staple in every article about packing. It really is effective in decreasing creases in your clothes. Also, it leaves you with more space for all your clothes (a double-edged sword, actually, since more space tempts you to fill in said space). Don’t pack new things. Whether it’s a year-long trip or a weekend getaway (or an overnight field trip), there’s always an urge to buy new things that we believe would make this trip better. Like a new pair of hiking shoes for when you go trekking, a pair of goggles for swimming, or those top of the line travel pants the every travel article said you absolutely must have. There’s nothing wrong with buying those things, but if you plan on taking those with you, make sure to break them in before putting it inside your luggage. There’s nothing worse than wearing uncomfortable clothes and shoes while traveling. Make a packing list. Whenever you go shopping, it’s essential to make a shopping list so you’d know what to buy, and not end up buying the same things that are already in your pantry and neglecting to buy what you really need. It’s the same with packing. You need to come up with a list of the things you need to bring. Once you’ve drawn up your packing list, check each item if you really need to bring it along. Last year, before I went on my Zion National Park trip, I came up with my own packing list. I used this to check and double check the contents of my backpack before I left. When I got back, I reviewed each item, and made a note on how often I used it, if I used it at all. It’s enlightening to see how much stuff I could’ve done without. The great thing about making your own packing list is that it is tailored to your needs and preferences. In evaluating each item after a trip, you get ideas on how to make your list better. 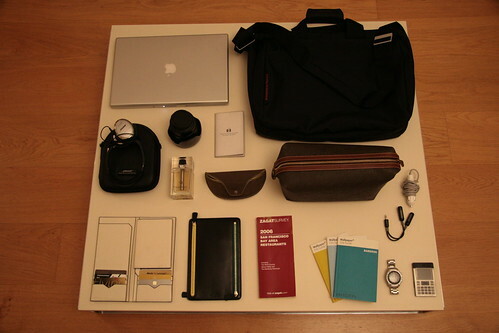 Put your “must haves” in your carry-on. Except if it’s liquid and more than 100ml. We’ve all heard of horror stories of missing luggage. I’ve never had the misfortune to experience that but I always try to prepare myself for the worst. I make sure my travel insurance covers lost luggage. Also, I make sure I only put the stuff I wouldn’t mind losing in my check-in luggage. Of course I don’t want to lose anything, but taking a proactive step in avoiding a major loss is necessary.